Vanguard Mega Cap ETF (MGC) Holdings Raised by Calton & Associates Inc.
iShares Edge MSCI Min Vol USA ETF (USMV) Shares Bought by Calton & Associates Inc.
IAC/InterActiveCorp (IAC) Shares Bought by Braun Stacey Associates Inc.
For many years, users of Twitter have been complaining that photo and links URLs are counted against the 140-character limit for tweets. Now that might change finally as according to a new report online, Twitter is going to stop including the links and photos in a tweet’s character counts likely within the next few weeks. URLs are shortened automatically by Twitter, but can easily eat up 23 of the 140 available characters. Twitter has explored different ways to make it easier for the user to include links in their tweets for the past six years. In 2010, it launched its link wrapping service t.co, but a large number of users do not think the links should be included at all within their tweet limit. Twitter declined to make a comment regarding the report posted by an international news agency. If the new policy for character count is implemented it would allow users to compose tweets that are wordier but still be much less drastic than another reported change that Twitter deliberated earlier in 2016, which would have increased its tweets to thousands of characters. Jack Dorsey the CEO at Twitter said at that time the company would not be shy in its attempt to build more power and utility into Twitter for users. He added that if its stays consistent with what users want, Twitter will explore it. The micro-blogging platform has encouraged its users to include more different forms of media in tweets with features that support videos, polls and gifs. What the user however really wants is more writing space. Users have taken to using tweetstorms, which will not work the same and may become incomprehensible since Twitter is moving away from its chronological timeline to algorithmic and text screenshots. The ability to have more text, links, media and other types of content jammed into an individual tweet was what brought about Twitter Cards, which was launched in 2012 in an attempt to attract more media companies, brands, advertisers as well as other power users to its platform. 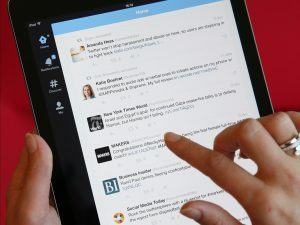 Through giving its users, even those no using Twitter Cards, additional control over the way in which they compose tweets, Twitter might lure in additional people to its site, which is important due to the company’s growth in monthly users becoming stagnant, while other messengers and social networks such as WhatsApp and Snapchat continue growing strongly in new users. User engagement, most importantly during events that are live, might also increase due to people no having to go through so much to compose the shortest tweet possible and can use language that is more conversational.